Beauty Treatments To Look & Feel Great! Our fully qualified, professional friendly therapists at Laroma Therapies offer a range of Beauty Treatments in Worthing. We are happy to be able to offer you Brows & Lashes treatments for beautiful eyebrows & eyelashes which enhance the eye and compliment your natural features; a variety of Facials, using only the best natural ingredients to nourish, rejuvenate and regenerate your skin; Gel Polish, a fantastic, quick & easy way to have the best glossy nails with no chipping or cracking for weeks; Microdermabrasion, helping reduced the appears or fine lines, wrinkles, scaring, pigmentation and acne and Waxing, the most effective way to temporarily remove facial and body hair for up to two weeks. 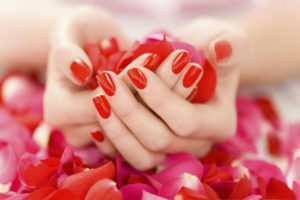 Our beauty treatments are great for preparing for a special occasion or just looking after yourself on a regular basis. We use only the best quality products in our beauty treatments, including quality skin products. 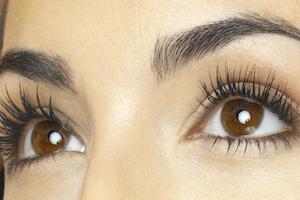 Our treatments give you beautiful eyebrows & eyelashes which enhance the eye and compliment your natural features. For our facials we use only the best natural ingredients to nourish, rejuvenate and regenerate your skin. Gel Polish is a fantastic, quick & easy way to have the best glossy nails with no chipping or cracking for weeks! 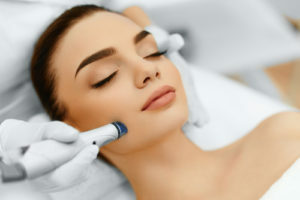 Microdermabrasion is commonly used on the face, helping reduced the appears or fine lines, wrinkles, scaring, pigmentation and acne. Waxing is the most effective way to temporarily remove facial and body hair for up to two weeks if remove at the correct stage. If you are unsure which type of Beauty Treatment will be most beneficial for you, please feel free to give us a call on 01903 201104 and we will be happy to help you. To book your appointment for any of the above Beauty Treatments in Worthing, call Laroma on 01903 201104, book online or email us using the form below.